Cebu Pacific Promo Fares 2019 to 2020: Cebu Pacific Seat Sale at P3 only! Cebu Pacific Seat Sale at P3 only! 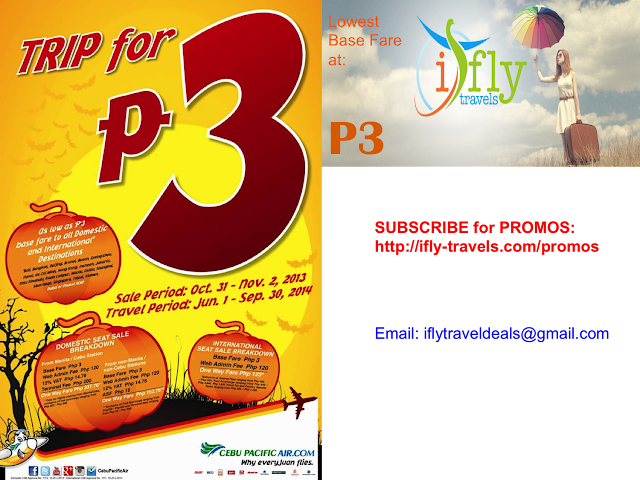 Cebu Pacific Promo Fare: Trip for 3!! Our latest and greatest (3) Piso Fare #CEBseatsale is up. PISO FARE For EVERY JUAN!